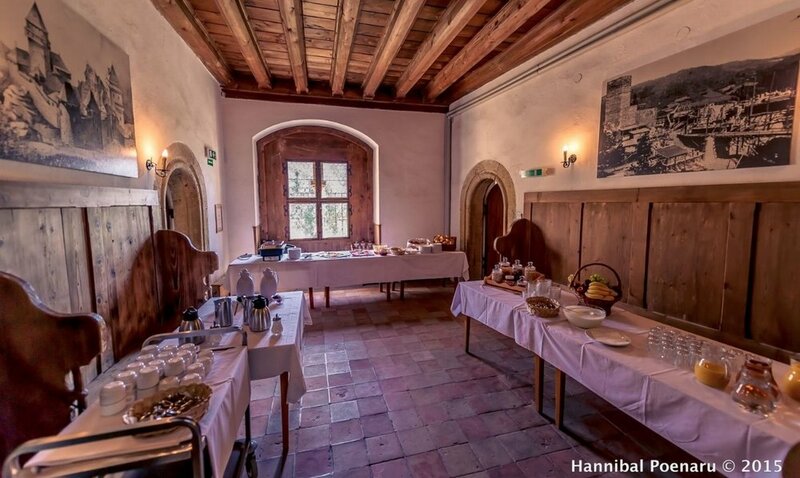 Every day, Castle Finstergrün will provide three delicious meals for us. Only one of these is already included for some guests, namely the brunch which is included with the Noble Pass. All oher meals (and the Brunch for guests with a Rockstar Pass) can be booked before and paid for when you arrive at Conclave Festival 2017. All information on how to do this will be communicated to you during the months before the event. Brunch will be available every day from 10.00-11.30. Brunch is included with Noble Passes. Rockstars can acquire it for €5,50 per meal. From Friday til Monday, every day around 16.00-17.00 tea and coffee will be served and some sandwiches and other treats will be available as well. Tea-time costs €5,00 per meal. Thursday, Friday and Saturday evening a warm dinner will be served from 20.00-21.00. On Sunday night at 20.00 a luxurious 3-course gala dinner will be held in the Knight's Hall of the Main Tower. On Monday night, if the weather permits, at 20.00 a BBQ will be held on the grounds just outside the castle. Otherwise a dinner will be served inside like on the first 3 days. Dinners and the BBQ cost €16,00 per meal. The banquet costs €45,00 but this includes all beverages served during the dinner.